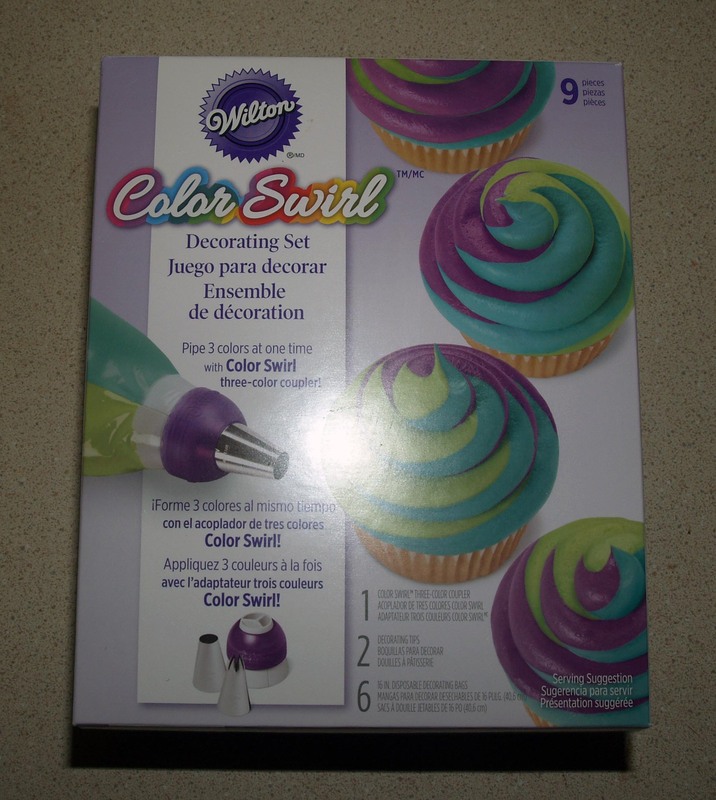 Product Review: Wilton Color Swirl Decorating Set | I Wanna Bake! 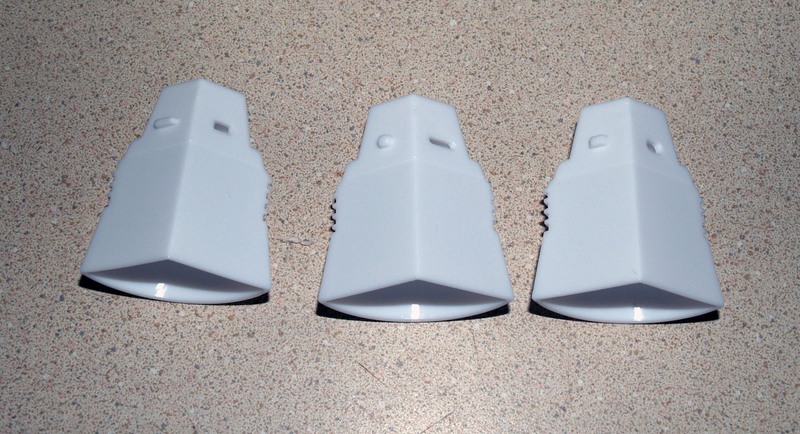 The kit contains the interlocking coupler, six 16″ disposable piping bags, and two large Wilton tips (1M and 1A). 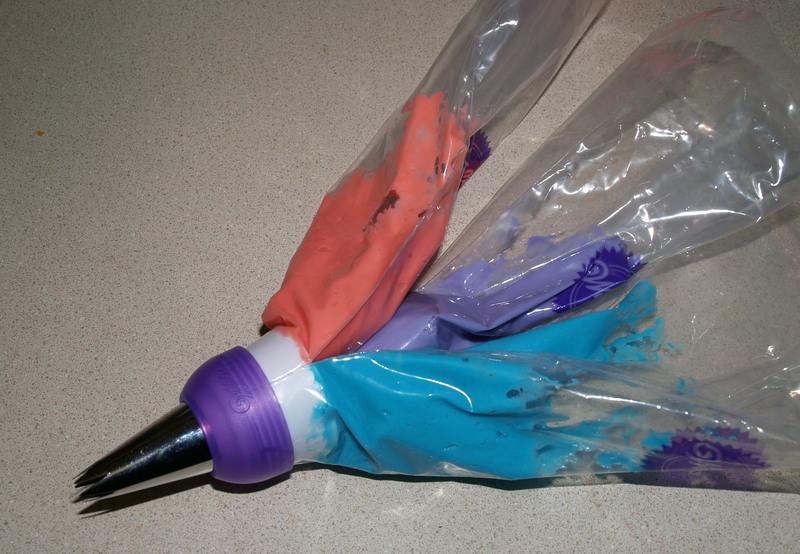 This means that you have enough supplies to try this twice, since each color of frosting goes in a different bag. The list price is $7.99, so I got the whole thing for $5.59 plus tax. A regular large coupler is $1.99, each tip is $1.49, and a pack of 12 of the same bags is $5.49, for a grand total of $7.72 (if you were only buying half a package of decorating bags) before discount, so the convenience cost is nominal. The coupler is, of course, larger than standard, but it’s really not large enough to take up all that much space. 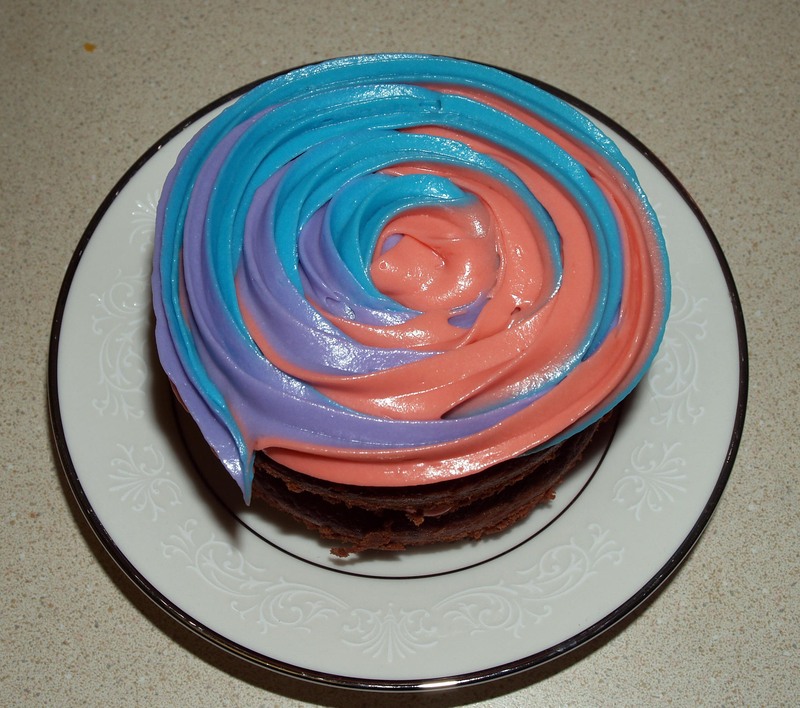 I have not tried making a three-color swirl by using a regular coupler with three bags or putting three colors of frosting in the same bag, but I’m guessing this tool makes it easier than that. 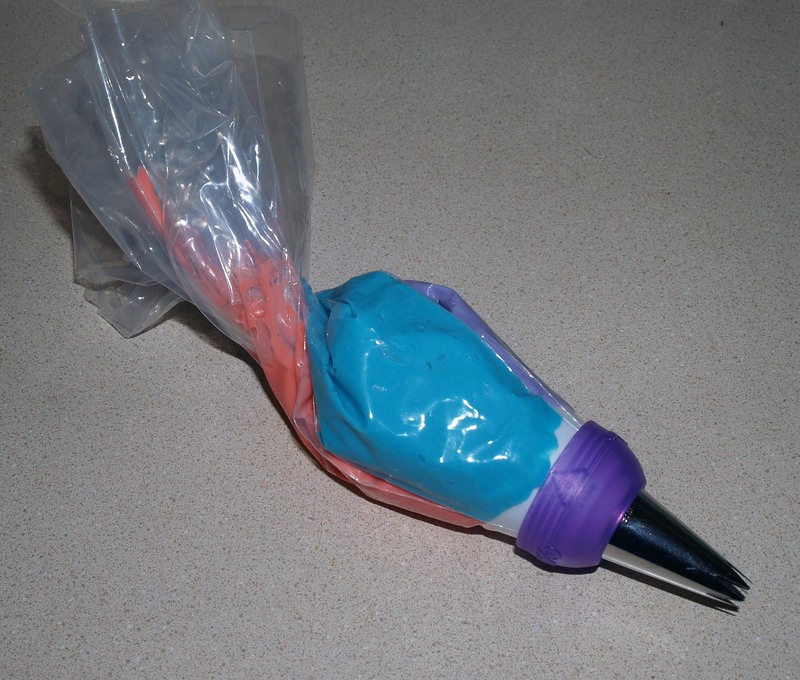 All you have to do is insert each of the three interlocking coupler pieces into a separate decorating bag, snip the tips, fill the bags with frosting, connect the interlocking pieces (in order because they only fit one way), put a tip on it, and screw the outside piece on. Once you get the swirl started, it’s easy to pipe onto anything you want. 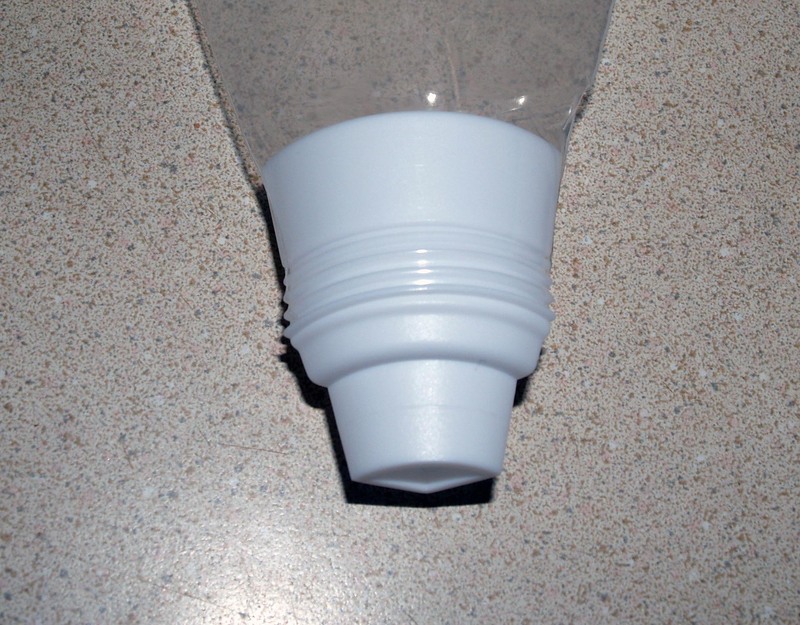 Obviously this is best suited to working with cupcakes because you have to use the larger tips, which are going to make larger decorations, but you could also use it for larger decorations on cakes. If you have smaller hands or suffer from arthritis, this tool might not work for you, particularly with the suggested 16″ decorating bags. 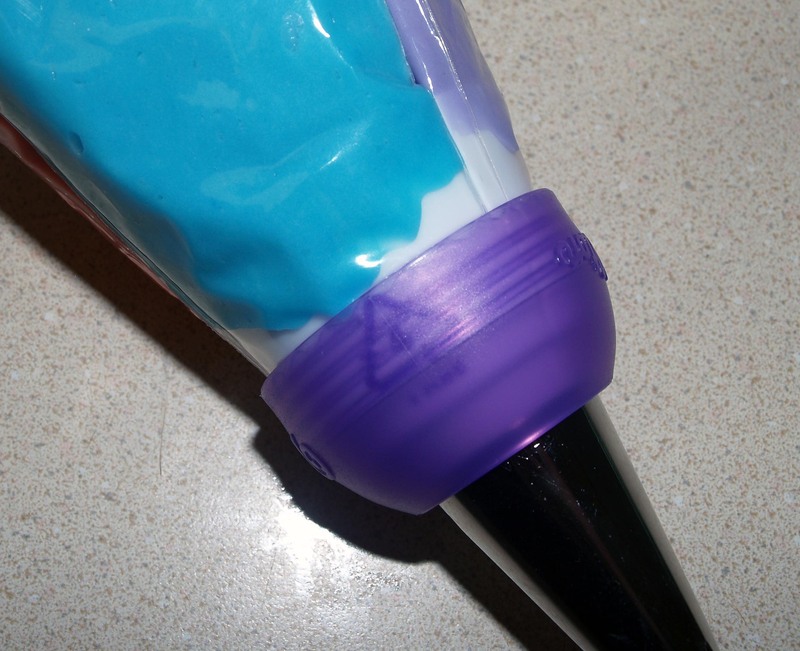 It takes strong and consistent pressure to squeeze the frosting out, and the three bags together are quite bulky. My hands are on the smaller side and I was able to manage, but it took some getting used to, and the precision of my swirls probably suffered from having to work with such a large cluster of bags. Of course, you could put less frosting in each bag, but then you’ll be constantly refilling, and will run the risk of running out in the middle of a swirl. 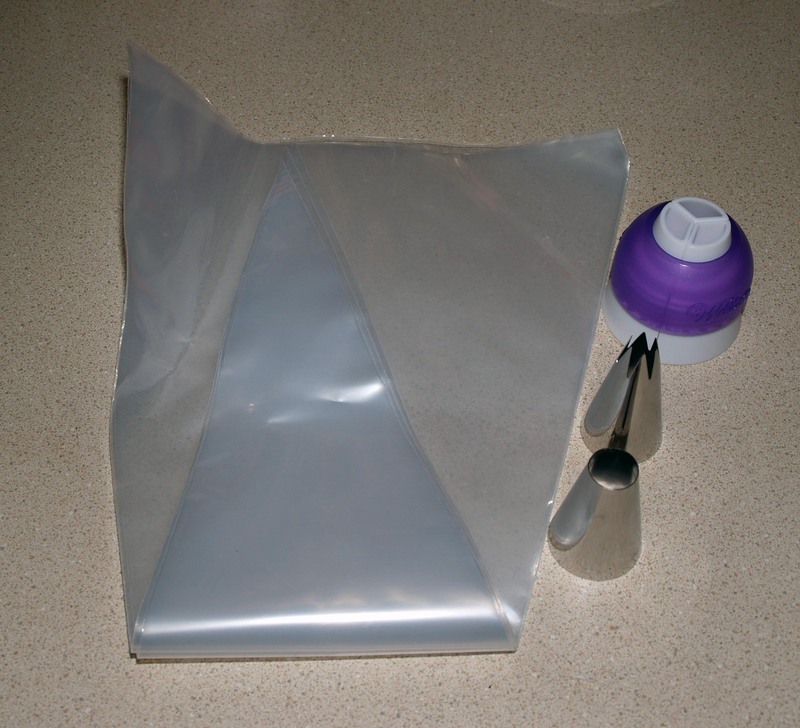 I was able to use this with 12″ decorating bags as well. You can’t fit as much frosting (obviously), but for small projects it is convenient. 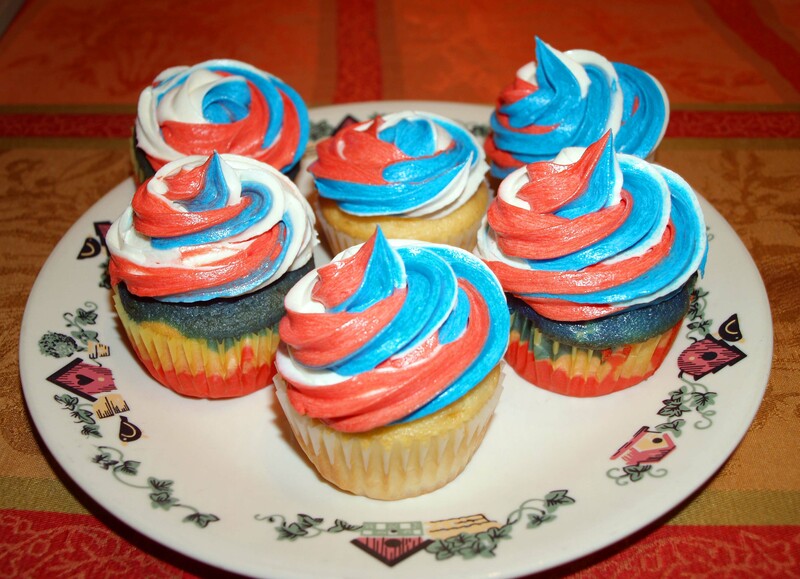 I’ve also tried it with both stiff buttercream frosting (the red, white, and blue cupcakes) and cream cheese frosting (the mini cake below), and both worked very well. This might be tough to use with royal icing, but I don’t really see why you would want to. One small issue I found was that the frosting can leak around the inner coupler piece. This wasn’t a problem, as the ring makes a decent seal, but I could see it leaking a small amount of frosting, particularly if you cut too big of a hole in your piping bag. All in all, I found this to be a clever tool that is convenient and fun to use. If you don’t frost many cakes or cupcakes, it might not be for you, but for the price and relative small size (compared to other kitchen tools), it’s really a low-risk investment. If anyone else has bought and used one of these, I’d love to see your results! Please note that I paid for this product with my own money and did not receive any compensation from Wilton for this review, nor am I affiliated with them in any way. I simply wanted to try this coupler to satisfy my own curiosity and to share my results with other curious bakers.